Tattoo enthusiasts and gamblers are both risk takers. So, it should come as no surprise that gambling themed tattoos are growing in popularity. In fact, gambling symbols resonate with more than just the casino gamblers. We all deal in risk, and we’re all blind to the future. Below, we’ve put together a gambling tattoo dictionary, explaining some of the meanings behind each one of these tattoos. 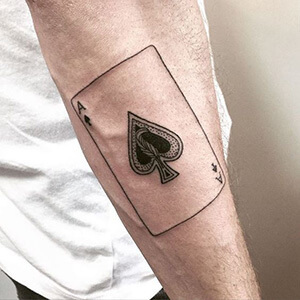 Ace of Spades: the ace of spades is a unique tattoo design, a symbol of both good luck and death. During the Vietnam war, the ace of spades was painted on to soldiers’ helmets to intimidate their opponents. For the opponents, the ace of spades represented bad fortune and death, but for the Americans, it was a symbol of good luck. Cherries: as one of the original slot machine symbols, three cherries in a row were a symbol that you won the lottery. 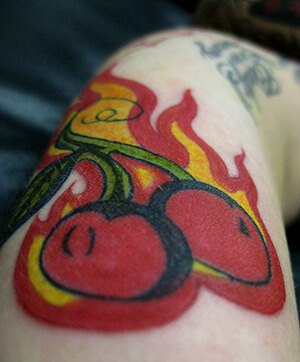 Hence, cherries have come to represent good luck as a tattoo design. Flaming Dice: since ancient times, rolling dice has been associated with betting and gaming. Typically, dice symbolize an unknown future. 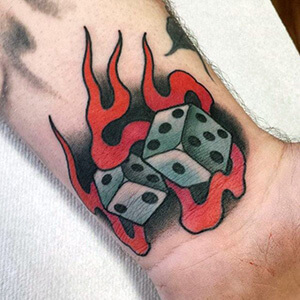 Depicted with flames, dice represent ‘having luck on your side’ or a passion for gambling. 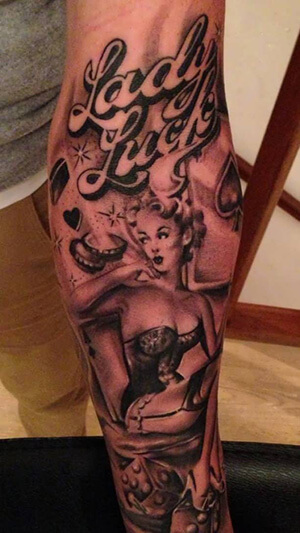 Lady Luck: a classic symbol of good fortune and prosperity, Lady Luck is a tattoo design of a beautiful woman sitting amongst dice, cards, and treasure. 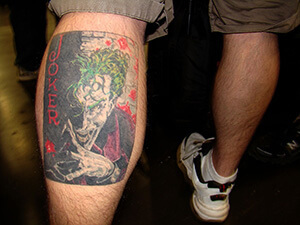 Joker: known as the ‘wild card’ in the deck, the joker can symbolize good fortune or deceit and misfortune as a tattoo design. 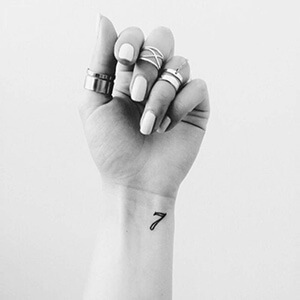 Number Seven: also called the ‘Magic Number,’ Number Seven is considered a lucky number in North America. As a tattoo design, it’s supposed to bring good luck to the wearer. Poker Chips: these plastic pieces determine who wins a game of poker. 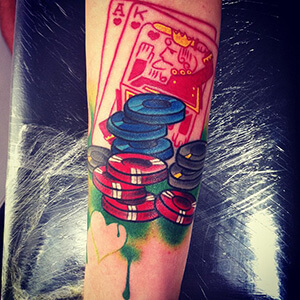 Hence, poker chips have come to represent a love for gambling as tattoo designs. 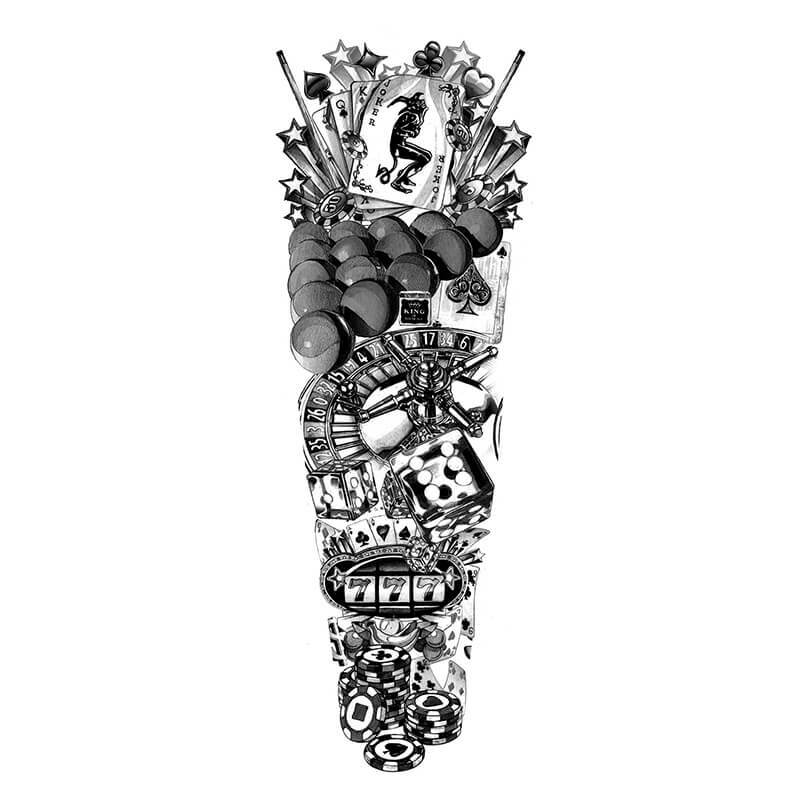 Whether or not you’re a gambler, gambling tattoo design themes are ones that everyone can relate to. We all experience good and bad fortune, and we all take life-changing risks. 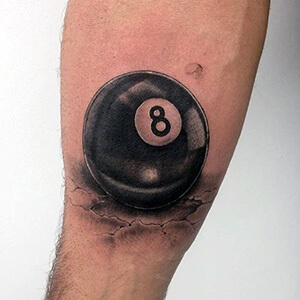 If you know of any other interesting gambling themed tattoo designs, let us know about them in the comment section below!